Government proposes to tap the National Clean Energy Fund (NCEF) proceeds to subsidise the capacity addition envisaged in the 2nd phase of the National Solar Mission (NSM). The Government has approved implementation of a ‘’Scheme for Setting up of Grid-connected Solar PV Power Projects of 750 MW aggregate capacity on Build-Own-Operate basis under batch-1 of 2nd phase of the National Solar Mission (NSM) with Viability Gap Funding (VGF) support to the tune of Rs.1875crore (maximum) from the National Clean Energy Fund (NCEF)’’ on 3rd October 2013. The scheme envisages setting up of the projects on Build-Own-Operate basis, purchase of the generated power by Solar Energy Corporation of India (SECI) at a fixed levelised tariff of Rs.5.45 per kWh for 25 years and its onward sale to willing State Utilities/ Discoms at a fixed tariff of Rs.5.50 per unit for 25 years. The projects will be selected based on a process of reverse bidding on VGF required by the developers. 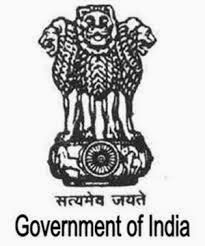 Detailed guidelines for implementation of the scheme have been issued by the Ministry on 25.10.2013 and Request for Selection (RfS) document has been issued by SECI on 28.10.2013. The closing date for receipt of proposals in response to the RfS is 28.12.2013.